When it comes to entertainment, the thriving success of the ticket industry shows that people love LIVE experiences. From sports games, such as the up and coming Superbowl to music concerts, we are all in! 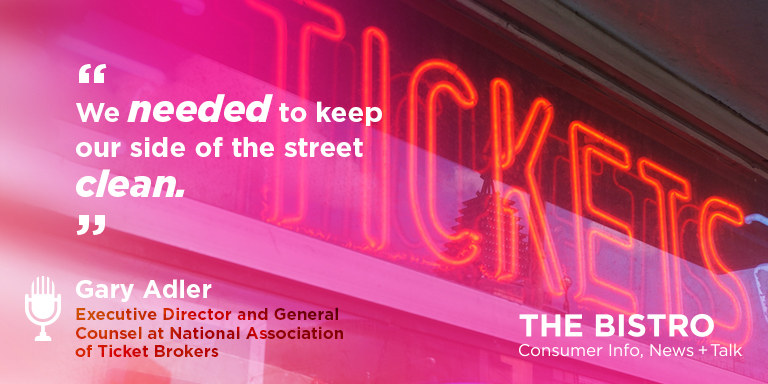 Gary Adler, Executive Director and General Counsel with the National Association of Ticket Brokers stops by The Bistro to share information about the ticket industry and how we can be smart about ticket shopping for these events.